Vision and voice in the warehouse, i.e., voice-assisted systems and augmented reality, can change how the typical warehouse operates. While voice-assistive technologies have been around for several years, they are still limited in their capacity to help pickers speed their operation. In addition, voice technologies are fickle. Slight changes in tone, attitude, speech rate and more can affect the ability of voice assistive technologies to help. However, machine learning and artificial intelligence are starting to transform how workers take advantage of and use vision and voice-activated technologies. In a sense, the use of vision and voice in the warehouse are beginning to improve warehouse management, and your organization needs to understand why it will continue. The biggest reason for the continued development of vision and voice in the warehouse is simple. The average line rate of orders filled in the warehouse is expanding, and the complexity of orders is also increasing. Consumers have extensive options and ability to customize products, make decisions, add products and individual shipments, separate shipments, and much more. It is not enough to only pick off packages to totes either, and pickers are starting to leverage pick to light systems, pick the package systems, and other fulfillment models. 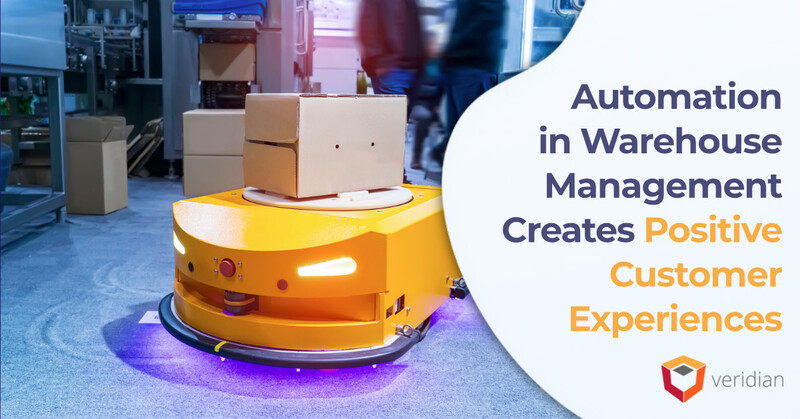 Complexity in the warehouse will rapidly exceed the ability of workers to meet demand with the increased use of robotics and unmanned vehicles in warehouses. Voice and vision in the warehouse offer significant advantages over traditional picking processes. According to Supply Chain 24/7, the application benefits of voice assistive technologies are clear. What is innovative is the potential implications of vision technology, such as augmented reality, notes Roberto Michel of Logistics Management. For example, a user wears AR-enabled goggles or glasses, which display pick ticket details and information regarding what is on the schedule and where within a warehouse the person is. The amount of data that can be presented to workers is almost unlimited. It could provide a walking map, almost showing pickers the exact path to take on the floor. At the same time, it could help workers ensure they select the proper item from a shelf. Potential applications are nearly limitless, including integrated systems that will immediately call for a manager, a second worker, an automated forklift, or even a new tote. Ensure that your existing systems can support voice and vision. Implement the technology and systems necessary to connect vision and voice in the warehouse to your existing systems. Determine which workflows to automate with voice and vision. Take advantage of available analytics platforms to understand how to use the systems properly. The last step is simple: never stop improving. Even though this process might seem like the initial phase of launching voice and vision in the warehouse, it recurs. Supply chain leaders should always be aware of demand, technology capability, problems, and opportunities. The use of vision and voice in the warehouse has immense potential. These technologies allow pictures and laborers to do more with less and speed productivity. These types of advanced technologies also give supply chain leaders an opportunity to focus on other areas of strategy, such as reaching more consumers and understanding their needs. For companies that wish to stay competitive in the Amazonian age, taking advantage of vision and voice in the warehouse will be crucial to their success.